I really like the experience of using well-designed objects and can get quite excited about a new pen, case or my favourite calculators. I’m also prone to obsessing about the choice of even the simplest things. When we moved to this house we inherited a rather fantastic Smeg oven that even includes a ring dedicated to poaching salmon. This has never been used. When the oven timer broke a few years ago, it was going to cost an arm and a leg to replace so we bought a timer from Amazon as a sensible replacement. We now have a kitchen timer that we use every day and it strikes me that in many ways it epitomises some of the ways that good design can be applied to even simple, cheap products. 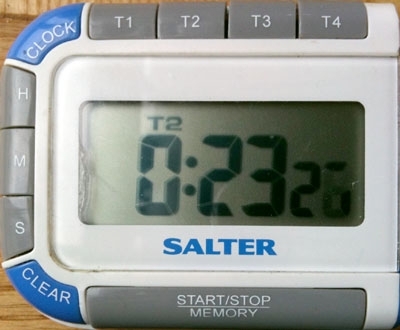 This Salter kitchen timer includes 4 separately programmable timers, plus a clock and can be attached to any ferrous metal surface using a magnetic clip. What I really like are the thoughtful design touches that indicate that quite a lot of thought has actually gone into this product. When any of the four timers is running and does not have ‘focus’ an indicator (T1, T2 etc) flashes on the display. The beeping at the end of each timed interval is distinctly different. Timer 1 repeats a single beep, timer 2 repeats a double beep, timer 3 a triple beep etc. Individual timers can count up as well as down. The magnetic clip can also be used as a stand on a flat surface. 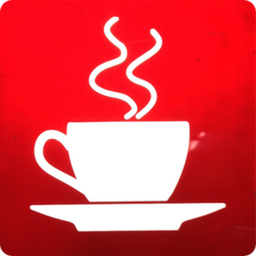 It’s really easy and intuitive to use, despite having so many features. Sadly it now seems to have been discontinued but I HAVE A SPARE.